Dikson research has responded to your request for the ultimate of mild and buffered developers. Extra Gel is for colorists wishing to use only the best for comfort and protection. Our Color Extra line may be used with either clear developer or Extra Gel. Heavy cream peroxides or enzymes are NOT recommended. 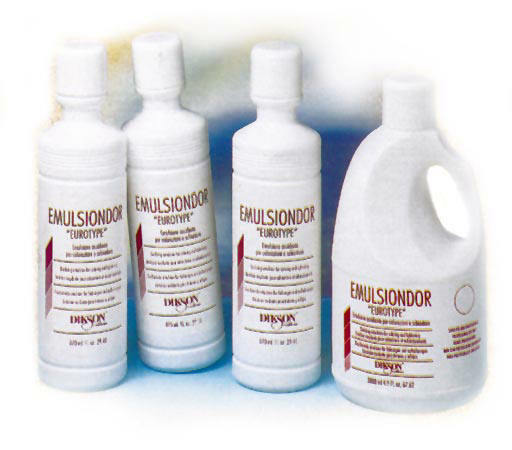 Oxidizing emulsion for coloring and bleaching. Professional formula. Mèches Developer is a creamy developer to be mixed with Dikson Mèches Toner. K-35 has two very unique qualities, it is a depositer only, which has no lifting power and it processes hair color in 5 to 15 minutes. This is the ideal developer for clients with busy schedules wanting fast, quality hair color. Use it as an excellent substitute for H2o2 developer.